After a sudden death on board Flight AC 1724 from Montreal, Canada to Barbados led to delays in its turn around time, its return trip Flight AC 1725 has been cancelled. Emergency personnel met the flight, and the German 94-year-old passenger was pronounced dead at the Grantley Adams International Airport (GAIA). The plane has been grounded for the night. 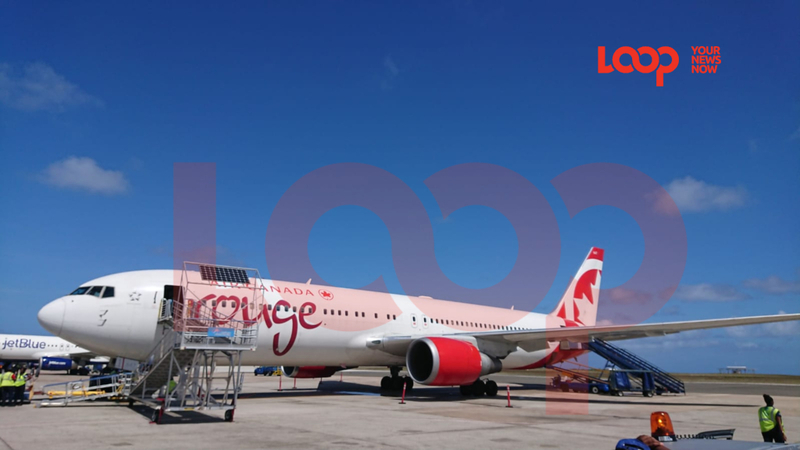 Loop News understands that this is also the plane that Prime Minister Mia Mottley was set to depart the island on, therefore, Flight AC 1715 Barbados to Toronto - Canada returned to Barbados and is now delayed but en route to Canada with Barbados' leader. AC1715 had already departed from the Grantley Adams International Airport when the call was made to ground AC 1725 and cancel the flight.